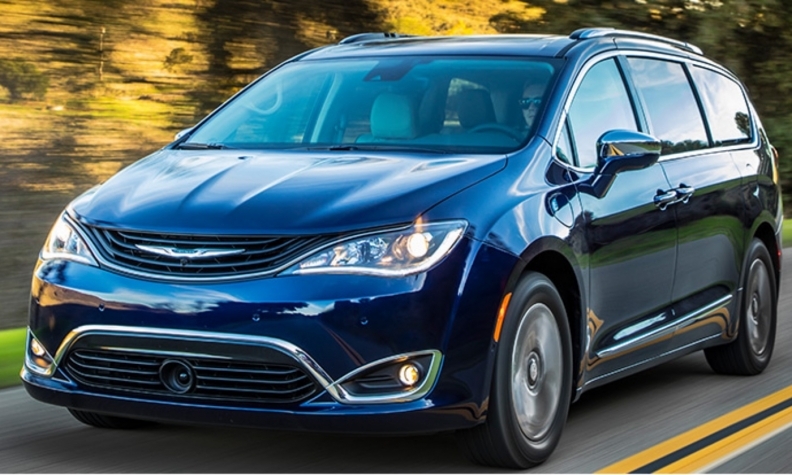 The Chrysler Pacifica Hybrid minivan was originally scheduled to arrive at Canadian dealerships in volume in early 2017. A specific date was never given. Shipments of the long-awaited Chrysler Pacifica Hybrid minivan started April 17 and some customers who have been waiting for its arrival are being rewarded for their patience by Fiat Chrysler Automobiles. FCA Canada would not say April 19 how many units had been shipped from its Windsor Assembly Plant in Windsor, Ont. The automaker did confirm to Automotive News Canada it will offer Canadian customers who ordered a Pacifica Hybrid before March 30 their choice of a Level 2 charger or $500 prepaid Visa gift card. The minivan was originally scheduled to arrive at Canadian dealerships in volume in early 2017. A specific date was never given. FCA Canada would not say why the vehicle’s shipments were delayed and instead referred to a statement it issued on March 31. FCA actually began production of the Pacifica Hybrid, the auto industry’s first hybrid minivan, on Dec. 1. It will come in just one luxury trim level with a pre-tax base price of $58,290, including destination fee. However, the MSRP doesn't take into account eligible government incentives available in Ontario ($14,000), British Columbia ($5,000) and Quebec ($8,000). A 3.6-litre V-6 engine and two electric motors power the hybrid minivan, which earned an EPA rating of 84 mpg, which is 2.8 L/100km. The Pacifica Hybrid has 53 kilometres (33 miles) of all-electric range and 910 kilometres (566 miles) of total range, according to the EPA. The minivan’s lithium ion battery pack is stored under the second-row seats and can be charged in about two hours using a 240-volt plug-in system.